In Padmakesharpur in the state of Orissa in East India, Sunktia stands with his wife Urinathy and their daughter Ruby. Sunktia's father was a charmer and his two brothers still are. He says business is so bad now he would rather work in a factory where he can earn 60 rupees a day (85p) rather than the 40 rupees a day (55p) he gets from charming. 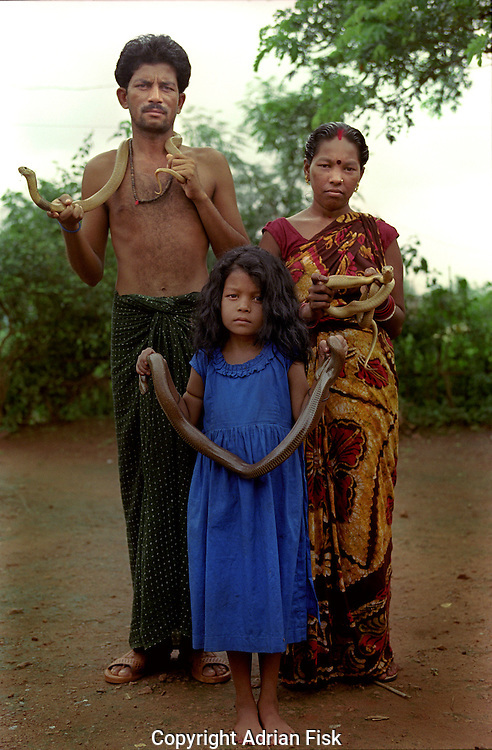 Sunktia is very proud of his daughter Ruby who loves the snakes and has never been scared of them.